The Washington Apple crop remains active on most varieties on smaller sizes. Most varieties are packing out WAXF #1 or better with limited supplies of the lower grades. Markets are firm. Quality overall is very nice. Small Granny's and Golds continue to be in a demand exceed supply situation due to roughly a 30% drop in production. We will see these markets to continue to strengthen through the summer months. Gala's have all of a sudden tightened up on all sizes and grades. Red and Fuji's are fairly steady on most sizes. New York and Michigan have moderate to good supplies of foodservice sizing of red and red varietals. The weather has improved in Caborca Mexico, but this past weekend they experienced some cold nights that caused yields to decrease. There are colder nights on the forecast for this upcoming weekend as well which means supply will probably remain the same as this week. Demand and markets are still very good on both coast as there is less Peruvian product out East due to seasonality and more demand for Mexican product. We should start to see a decrease in markets by the end of next week as Mexican volume continues to increase. Overall steady markets with good demand. The weather this week in Michoacan Mexico calls for temps in the 70s-80s with no rain in the forecast. We are seeing a fairly light demand this week on larger fruit (32-48s). Smaller fruit (60s&70s) are in high demand this week with a higher market price. Plenty of deals on 48s, #1 and #2 grade fruit. Overall quality is good. We are about a month out from seeing California fruit available. Bell Pepper remains very tight coming out of Florida. No downslide insight on these markets. Cold weather and rain continue to be the driving force behind this. Quality has been good in most regions with the exception of some occasional wind-scarring. Green Bell Pepper- Good volume on green bell pepper continues to arriving in Nogales this week. Currently, consistent volume is being harvested in Sinaloa and Sonora. Quality on green bells from both regions is good. Supplies are starting to exceed demand on green bells. Market on Green bells are currently steady but should start to creep down the end of this week. Green bell peppers from Mexico are also available to load in McAllen, TX. Red Bell Pepper- Good volume of Red Bell pepper available to load in Nogales, AZ from Mexico. The price on the red bell pepper has remained low this week along with the market. Good volume continues on both Elongated and Hot House bells in all pack styles. Consistent numbers of red bells are expected to continue through the week. Quality of red bell on both varieties continues to be good. Red bell supplies from Mexico currently crossing through Nogales, AZ and McAllen, TX. Yellow Bell Pepper- Good volume of Yellow Bell pepper continue to arrive in Nogales this week. Good weather in the growing region has maintained good yellow bell pepper production. Both elongated and Hot House varieties being pack in 11lb/15lb and 1 1/9 bushel carton. Quality on both varieties is good. Currently, supply meets demand. Market on yellow bell is steady. Yellow Hot House bells are also available to load in McAllen, TX. Blackberries remain available out of Mexico at all major strawberry distribution points. The farther you load away from Texas and Yuma, the more lead time needed for orders. Markets remain steady into the week and quality has been good. Blueberries are steady with offerings coming out of both Peru and Mexico. There are deals being offered on pints and 18 oz. Peruvians to make way for new containers and rotate volume. Quality has been good as long as the product is rotated properly and temperatures are maintained. Markets will hold with the occasional lower volume price previously mentioned. The raspberry market remains steady with adequate availability in Texas, Oxnard, and Florida. All fruit is transfer fruit from Mexico and advanced bookings are required. Quality looks good for the market and availability is to remain steady through the weekend. California continues to recover nicely from the extensive rains two weeks ago and yields are improving although demand has increased greatly due to the Valentines day pull. Challenging times are just ahead of us with a 5-day weather event forecasted for both Santa Maria and the Oxnard area. These Storms should bring up to 3 to 4" of rain totals by Monday. The market remains steady through the end of the week. Expect fill rate shortages at the end of the week and into the next. 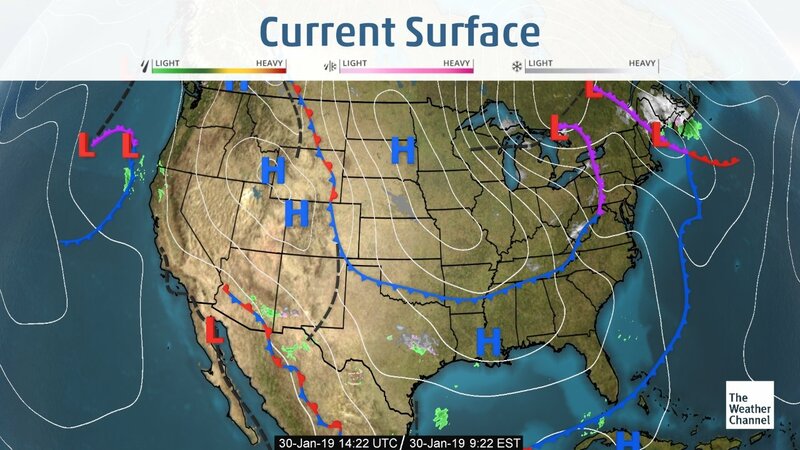 Florida is recovering from last weekends rain and all shippers are contending with cooler than normal weather which is severely reducing crop yields and plant maturation. A freeze warning is in effect in the northern part of the state. Expect cuts and requests to move orders to alternate loading areas. The market remains steady and strong. Mexico is producing decent numbers of fruit however these increased numbers are being easily consumed by the increase in demand and the low yields being produced in the other growing areas. The overall market is in demand exceeds supply status in all growing areas. We expect shortages in all areas. The broccoli market continues to have better supply and yields. The weather is starting to cooperate in all growing areas and suppliers are looking at better #s. Quality is good with slight purpling, some mechanical damage, and occasional yellow cast. Look for supplies to continue to be good going into next week. Cauliflower market continues to come off as there are more supply and better yields coming on. Supply has started to pick up with the warmer weather in Yuma. Overall, the quality is good with minor bruising and some yellow cast with weights in the 25 to 28-pound level. Look for this market to continue to adjust going into next week. Demand continues to exceed supplies on this commodity and this will continue throughout the week. Production is in Yuma and southern California, specifically Oxnard and Santa Maria. Escalated pricing continues to be in effect on all contract as well as value added items. Production in Yuma continues to be light. Southern California is light as well. There is a little of all sizing. Common defects that have been reported include insect damage, mechanical, and bowing. Averages have been a challenge to meet by the few shippers that process this commodity. Suppliers are hoping for better inventories in seven to ten days. Import cherry season is just about finished. There is some small amounts of inventory left with a handful of vendors, but supplies are drying up quickly. We will be transitioning into domestic harvest in the next 4-6 weeks with the Pacific Northwest. Import season is finishing up and we will transition into domestic harvest over the next month. Jalapenos- Better supply of Jalapeno than last week available to load in Nogales, AZ from Mexico. Growers continue to harvesting jalapeno out of the Sonora and in Northern/Southern Sinaloa. Quality out of Sonora is Fair to Good. Quality out of Sinaloa is good. Mostly medium to large size available from both growing regions. Market on jalapeno is currently high but has started to decrease with a little better volume being seen to begin the week. Price on jalapeno have also started to drop and should continue to drop through the week. Jalapenos from Mexico also available to load in McAllen, Texas. Serrano – Light supplies of Serrano peppers continue to be available to load in Nogales, from Mexico. Supplies expected to remain light. The demand and market continue to be high along with pricing. Price on Serrano pepper continues to be high on a 40lb box and #10lb Pack and is expected to remain steady through the week. Light supplies of Serrano also crossing into McAllen, Texas. Tomatillo – Husk and Dehusked tomatillos are available to load in Nogales, from Mexico. Good supplies on both varieties expected to continue through the week. The tomatillo market is steady. Prices remain steady in the low teens. Quality on both varieties is currently good. Both varieties of tomatillos are also available to load in McAllen, TX. The Cilantro market has started to come off with the nicer weather in Yuma and Mexico the last week. The cilantro quality is good and has been affected a bit by the colder weather at the beginning of January. Look for the cilantro market to continue to come off going into next week. District 3 is wrapping up for the season a few shippers should be finished this week. District 1&2 (Central Valley & Southern California Coastal Region) volume is slowly building inventory and peaking on 75ct/95ct/115ct size to start. Due to the recent weather, the smaller size fruit 140’s and smaller are looking to tighten up for the next couple of months. The rain and cold weather brought on the larger fruit and smaller fruit is staying limited on sizing and green on the trees. Normal business on small fruit looks steady for now but could get snug in the next few weeks. Last week and this week lime prices have come off due to the flooded market. Supplies were tight starting off the year and were looking to be a weekly trend. The flooded market was a cause of most growers had an oversupply on the trees that needed to be harvested. There was an abundance of small fruit available and being offered a large discounted price driving the market prices down. By the end of next week, most suppliers are thinking the market will strengthen again. Current FOB market prices on 10# are $8-$10, and the 40# current market prices are $12 - $20 depending on the size. California Navels is starting off the week with good supplies. Markets are steady with plenty of promotable volumes and great quality. Rain is expected at the end of this week, but most suppliers are packing ahead and get in front it to build inventory. Demand continues to feel strong as we approach the end of January. Suppliers are harvesting good numbers and moving through inventory weekly. With the good movement, the bigger harvest numbers are welcomed. Color and flavor are excellent, brix averages are climbing to 13-14 as we are into some of our best varieties of the season. Continue to push Navels with confidence – This is the best time of the year for great quality and we will continue to see great quality moving forward. The pack has been majority fancy grade with limited choice grade availability. Satsuma Mandarins supplies are ample on any size or pack style. Brix is 12-14 and extremely juicy. Delite Mandarins are coming along peaking on 32/28/24 followed by size 36. Plenty of Pummelos available sizing and quality look great. Cara Caras & Blood are moving along, plenty of supplies available. Cucumber supplies continue to be very steady from Honduras. Markets have dropped overall with Mexico markets so inexpensive. Quality has been and is projected to continue to be very good. Light supplies of cucumber being harvested in Sonora, Mexico. Quality out of the Sonora district is mostly fair. Good supplies of cucumbers also being harvested in the Mexican State of Sinaloa and the volume expected to remain good through the week. The cucumber market is lower and expected to remain low throughout the week. Quality out of Sinaloa is good. Eggplant supply remains very tight, especially on fancy product. Markets will remain on the high and limited side for at least the next 14+ days. Quality varies depending on the region they’re coming from, but overall, quality is okay. This market will remain on the limited side for at least the near future. Eggplant- Eggplant continues to be harvested in the Mexican State of Sinaloa. Good supplies of eggplant currently being harvested and expected to increase in volume with good weather in the growing region. Both fancy and choice grade currently being packed. Current market on eggplant is steady and is expected to remain steady through next week. Quality from Sinaloa currently is mostly fair to good. Green grapes continue to be extremely limited. A combination of high demand, low volume and delayed arrivals is keeping the industry in a severe supply shortage. Quality on what has been arriving has been fair with occasional reports of soft berries. Market prices have been high and firm. We expect supplies to remain limited for another 2 weeks, then shift quickly the second half of February. The communication throughout the industry is that fruit is being sent to the U.S and volume will heavy once it hits. Until then, we expect prices to remain firm, availability to be limited and sizes to be in the XL range. Supplies continue to be extremely limited on green grapes. This will be the case for the next 2 weeks. Red grape supplies continue to be limited. Although slightly better than green varieties, the overall supply is dismal at best. The industry continues to be optimistic with regard to improving supplies, but I expect the shortage to last another 1-2 weeks. With demand being so strong and the pipeline being completely empty, it will take a solid week of normal volume arrivals to land on both east and west coasts to get the industry back on its feet. We expect this to happen the second week of February, then shift quickly to supply exceeds demand. At which point, we can expect to see the markets adjust down swiftly. However, until we get to that point, shippers are keeping their prices high and firm. We are securing as much fruit as possible to fill orders, but some flexibility on load dates will continue to be necessary. Supplies remain limited on red grapes and markets are higher. We hope to see improvements by the send week in February. The Green Onion market continues to be really tight with the recent freeze and rain in Mexico. Currently, the weather has cooperated with a little more supplies coming on. This recent cold weather is causing occasional leaf minor and mechanical damage. The green onion market will start to come off going into next week. Heavy supplies are expected throughout the week on this commodity. Supplies exceed demand. Warm temperatures in Yuma this week will only make the lettuce patch produce bigger production numbers. No rain is in the forecast in Yuma until Saturday. Horrible weather on the East Coast is slowing business. Defects worth noting on this commodity include blister and peel, puffiness and mechanical. The weight s are a little better with palletized liner, averaging 40-44 pounds with multiple shippers. Processed items will continue to have shorter shelf lives due to the raw material not being as strong as normal. Supplies will be steady on romaine as well as all leaf items. This market overall is flat. Plenty of offers continue to be available on romaine as well as romaine hearts in the industry. Blister and peel continue to be reported from all shippers and this will continue throughout the week. The bad weather on the East coast and the continual negativity on romaine will keep this market having excessive amounts of product. Green and red leaf, as well as butter, is steady, overall. The weather in Yuma will be in the 70's throughout the week. Some rain is expected on Saturday. Defects, include blister, cupping, mildew, fringe burn and mechanical. Processors continue to disclose shorter shelf life on all processed items due to weaker raw product being used. Better volume on Cantaloupes this week from both growing regions of Guatemala and Honduras. Weather in both regions calls for temps in the 80s-90s with no rain in the forecast. Good supply on all sizes loading out east. Out here on the west, we are seeing better volume. Our only setback is the late releases of the vessels at the port. Honeydew supplies are extremely limited as we are seeing very light offerings on both the east and west coast. This is due to the lack of rain in the fall witch caused viruses and whitefly issues in Guatemala. Honduras also had a late start to the season with very light offerings. We continue to see the late release of vessels at the ports creating issues on the transportation side. Trucks are waiting for fruit to be released and at times running a day or 2 behind. We can expect the same challenges this week with a higher market and limited supply of fruit. Quality has not been consistent as we are seeing some scarring and spotting. Light supplies of watermelon continue to be available to load in Nogales, AZ. Light volume continues to cross through Nogales, AZ as demand remains high. Few shippers are receiving watermelon from Jalisco. Market on watermelon being reported as high and expected to remain the same through the next couple of weeks. Quality on new crop watermelon being reported as good. Demand is moderate to light across the board on all sizes Yellow and Reds onions. Quality is still very nice. Whites are in a demand exceeds supply situation with high but steady pricing. Quality is fair. Storage supplies are still coming out of Idaho, Washington, Utah and New York. Mexico will come into play over the next couple weeks. Yellow Sweets will be first followed by whites and reds. The crop is being reported as good. Mexico will start crossing onions over the next couple of weeks. Yellow and Red onions are in peak season out of the Northwest. D'Anjou Pear demand has picked up on the smaller sizes 100 counts and smaller with good supplies 80/70. The market has firmed 110 and smaller with 80/70 count steady. Quality is still good. Bosc pears have really good supplies of small sizes 100 counts and smaller with lighter supplies of 80 count and larger. Quality is good. Shippers are making deals. Bartlett pears are getting into fewer hands and peaking on US#1 80-100 with few fancy's. Quality is good but only order what you need. Chilean Bartletts are available. The Idaho market continues to move upward on the 80-count and larger. This is because of a smaller size-profile in the Burbank variety. Most of our shippers are close to transitioning from packing both Norkotahs and Burbanks to Burbanks only. Demand is light on Retail bags which is keeping some sheds only running limited hours. Quality is good with little to no issues upon arrivals. Color potato market continues with not much change from previous weeks. Supplies are still coming out of Washington, California, Wisconsin, North Dakota, and Idaho. New crop Florida started this week with limited amounts of Whites and Yellow for the first couple weeks. Quality is looking good out of all areas with Wisconsin bringing in supplies to pack out of the Dakota's. Look for supplies and markets to continue at current levels into the middle of February. Zucchini squash supply has increased, yellow squash remains limited, but volume is picking up now. Quality overall has been good excluding a few field plots in various regions that had a little more wind damage than others. Mexico markets are putting pressure on domestic suppliers causing price decreases. Italian and Yellow S/N- Better supplies of Italian and Yellow S/N crossing through Nogales from Mexico. Supplies have increased on Italian squash and stabilized on Yellow S/N squash on both #1 and #2 packs. Price on both varieties have started to drop this week with a lower market. Quality on both packs on Italian is good. Quality on both packs of Yellow S/N is good. Supplies on both varieties currently meet demand but could exceed by the end of the week. Stone fruit supplies are in the same situation as all imported fruit at the moment. We continue to get reports of upcoming improvements but nothing has come to fruition as of yet. Restricted volumes being shipped over and delayed arrivals continue to limit the amount of available fruit. Market prices remain steady and quality is solid. We do expect at some point for supplies to hit and it will probably be quicker. We are anticipating the second week of February to be the window in which we will see a spike in supplies. Until then, we expect sizes and supplies to remain limited. The Florida growing regions have completed the transition to southern fields in Naples/Immokalee and Homestead districts, yet weather continues to have an impact on supply. Farming operations are spread out between crops helping to bring a full range of round tomato sizes to market, however, rain has caused a slight dip in production. Quality is mixed but a fair amount of #2 fruit is available as a result of recent rain and wind. Roma tomatoes remain a light crop with a bulk of supply coming from Mexico as planned for the season. Grape and cherry tomatoes yields are mixed between farms with a steady supply overall. Production out of Mexico has continued to increase on all varieties. The much-anticipated tomato volume from Mexico has made it to market this week bring all items to, or close to, suspension agreement minimums. Weather forecasts continue with a warm trend through next week helping to bring a boost in production to Mexico farms. There is a good supply of large rounds and plenty of volume spanning all varieties. The improved supply should help to ease FOBs in the east that has been near or above the $20 mark since November. With more favorable growing conditions in the coming week, markets should continue into February near minimums with healthy supply through both McAllen and Nogales facilities.